What is the difference between the New York Sightseeing Day Pass and the New York Pass? 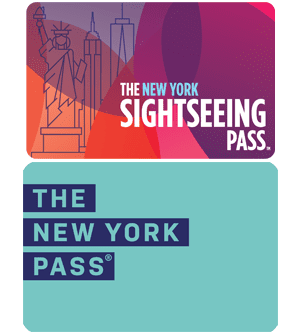 The New York Sightseeing Day Pass and the New York Pass are discount passes for New York. With which, you can get the most out of your stay. You can visit unlimited attractions with both passes. There are differences between the passes with regards to the attractions and tours that are included. Do you prefer to sightsee at your own pace? Then go for the New York Sightseeing Flex Pass. 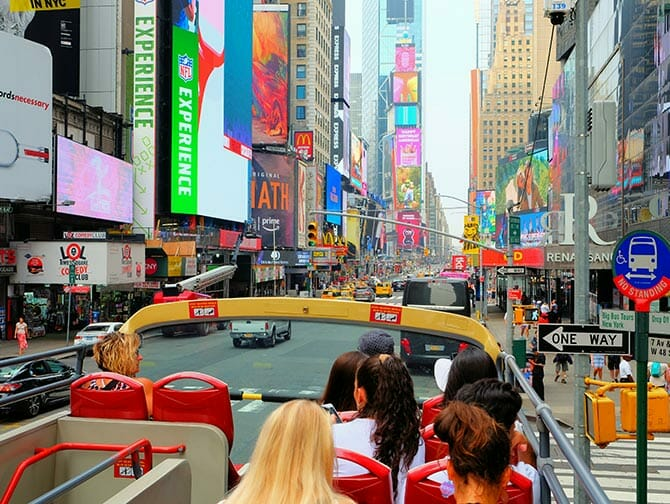 Both the New York Sightseeing Day Pass and the New York Pass are valid for over 100 tours and attractions. 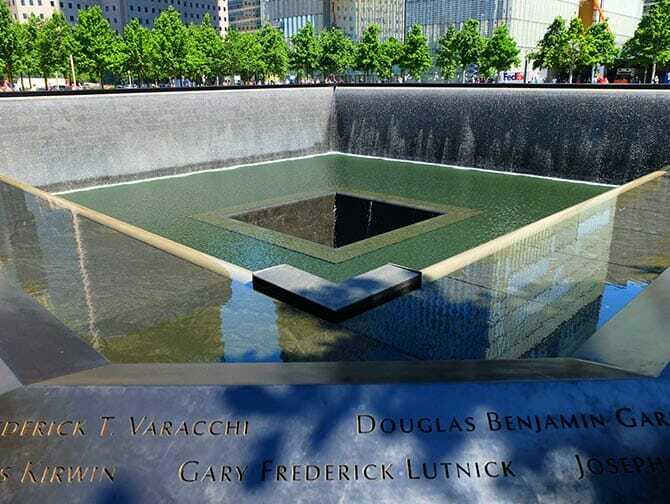 With both you can visit, along with many more, the 9/11 Memorial & Museum, Top of the Rock and Liberty Island. With the Day Pass, it’s possible to take a Hop-on Hop-off Ferry Tour. 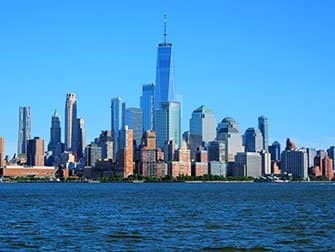 The New York Pass includes all Circle Line Cruises, as well as the Best of NYC and Sunset Cruise. The main difference is that the Empire State Building is not included in the Day Pass. However, it is the only pass that you can use to visit the One World Observatory. With the Day Pass, you can also choose to take a shared shuttle bus transfer from Manhattan to the airport. In addition, you can have a free or heavily discounted lunch at a number of restaurants. With this pass, however, the bike options are limited, while the New York Pass offers multiple bike tours and rental options. A ticket for a Hop-on Hop-off bus tour is included with both passes. The Day Pass gives you a better ticket though, because you can use the Gray Line buses throughout the duration of your pass. With the New York Pass, you get a Big Bus ticket for one day. Both passes offer both the Uptown and Downtown routes. The Brooklyn and Evening Tours are also possible with the Day Pass. In addition, you will receive a credit code to the value of $40. You can redeem it for, amongst other things, a VIP upgrade of your bus ticket. With this upgrade, you are entitled to priority boarding at various stops. Eric’s Tip: If you like to take the Hop-on Hop-off bus the Day Pass, due to its better ticket, is definitely the best choice. In addition, the Day Pass offers free or discounted lunches at participating restaurants, including Buca di Beppo and Buffalo Wild Wings. So, tasty food and considerable extra savings! 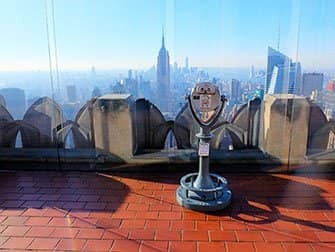 The Empire State Building is not included in the Day Pass, however it does give you the opportunity to visit the One World Observatory, which is not included with any other passes. The New York Sightseeing Day Pass and the New York Pass work in the same way. The Day Pass is available for 1, 2, 3, 4, 5, 6, 7 and 10 days. The New York Pass can be purchased for 1, 2, 3, 4, 5, 7 or 10 days. The passes are valid on consecutive days and are activated at the moment you use them for the first time. You can visit as many attractions and tours as you wish, with a max of one visit per attraction, per pass. You can show the passes on your mobile, pick up physical passes in New York, or have them sent to your home address with the worldwide delivery options. $139 – $349 up to 20% discount! $134 – $359 20% discount!